Healthy plant growth essentially depends on three factors: ‘well-functioning’ substrate with all the right nutrients, adequate light and good quality water with sufficient carbon dioxide. 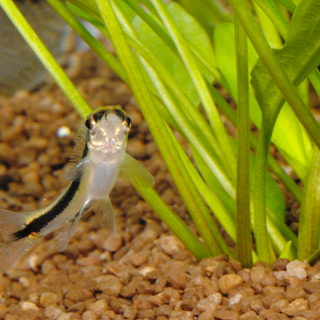 provide your fish with hiding places, peaceful havens and spawning sites. Just like fish, shrimps and crayfish, aquarium plants need certain things in order to stay healthy and attractive, such as light, carbon dioxide and other nutrients. This applies from the moment they are planted. So it’s worth tending to your plants’ needs when setting up your new aquarium. Initially, choose a substrate that boosts root formation to ensure your plants are firmly anchored. However, when first planting your aquarium, it is a good idea to use sterile gravel to prevent harmful bacteria or contamination. Nevertheless, sterile substrate also lacks valuable minerals and trace elements, which are important for ensuring that plants grow more moderately and are permanently well-supplied. Using a ready-made substrate concentrate with minerals and trace elements will ensure moderate plant growth and thus lay the foundations for healthy and flourishing plants. It is also advisable to fertilise your plants from time to time. Plants need light for photosynthesis. This is how they supply themselves and all other organisms with vital oxygen. Daylight lamps imitate sunlight, allowing plants to photosynthesise freely. It is important to keep the light on for ten to twelve hours as most plants are native to regions in which the sun shines for long periods. 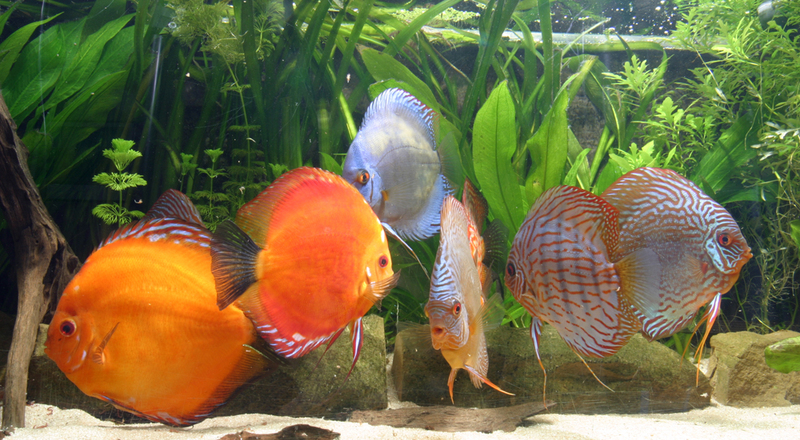 Moreover, as a rule of thumb, at least 0.5 watt of light is required for every litre of aquarium water. Carbon dioxide is produced when all organisms breathe and is used by plants in combination with water and light as a nutrient source for synthesising sugar. It is therefore vital in order for aquatic plants to grow. However, all aquariums essentially have their own unique CO2 requirements. For instance, well-planted tanks with fast-growing plants need more CO2. In order for organisms to thrive sustainably in an aquarium, the long-term CO2 concentration must be between 5 and 15 mg/ml. Wild aquatic plants can be found in many places – a wide variety of native species grow in streams, garden ponds and lakes. A word of caution though: it is wrong to think that these plants can be planted in an aquarium without any problems. 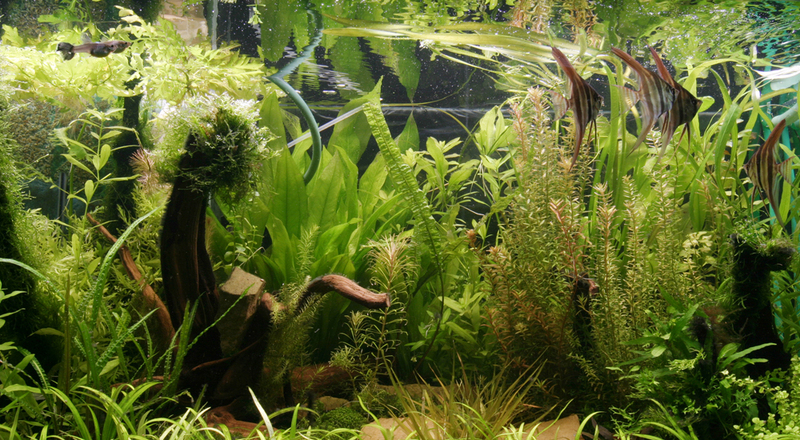 Native wild aquatic plants are often protected species and are often unsuitable for tropical fresh water aquariums. There is also a risk of introducing germs, parasites and algae from ponds and streams into your aquarium. You should therefore always buy aquatic plants from an aquatics store. They not only have the most attractive plant varieties but can also offer the best advice on any special care required. For example, an aquatics retailer will be able to tell you which plants go well together.